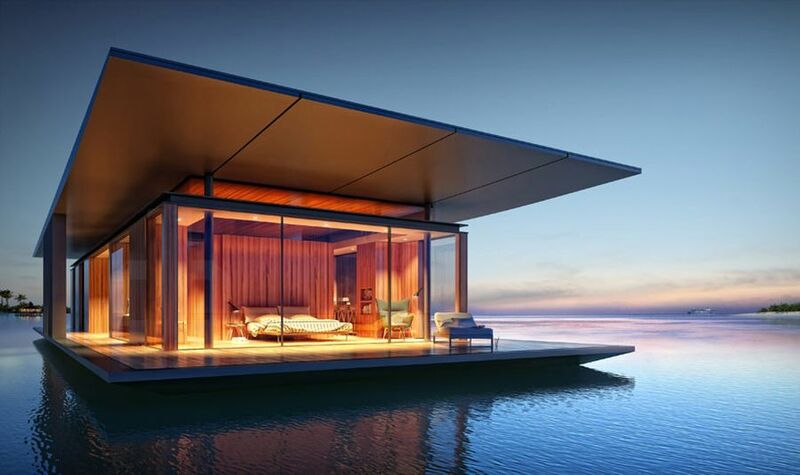 Floating House designed by Singapore-based architect Dymitr Malcew provides a tranquil retreat that reconnects you with the goodness of nature. 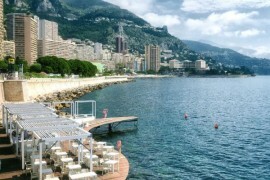 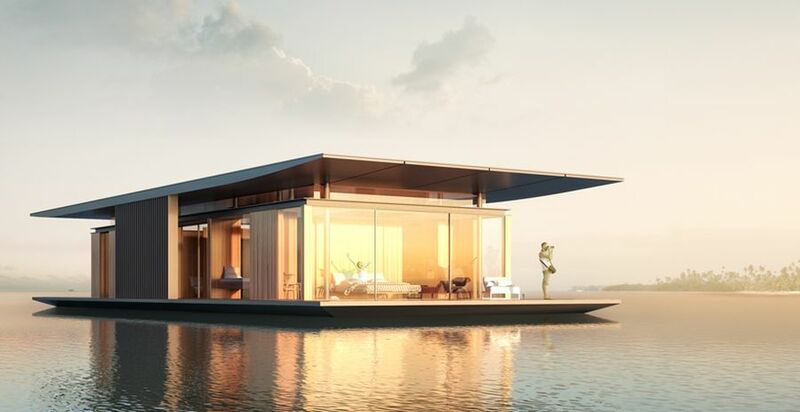 Conceptualized and created for French firm H2ORIZON, this beautiful structure is all about gliding your way to a blissful holiday that allows you to escape the hustle and bustle of a busy urban lifestyle. 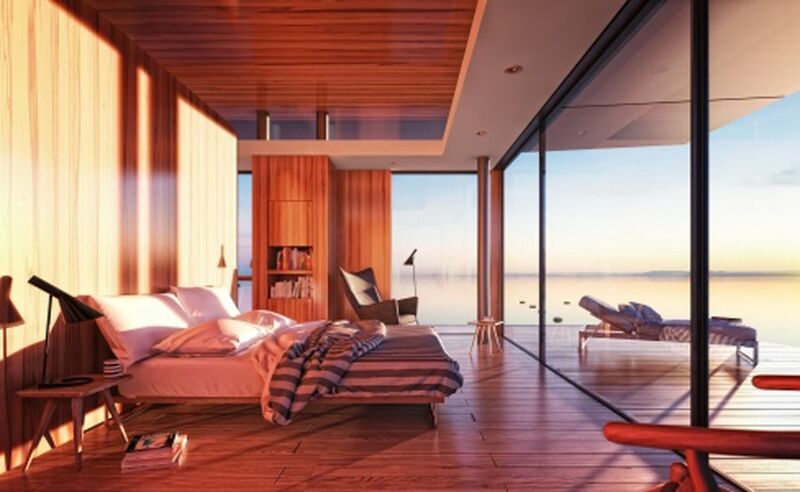 Housed securely on a buoyant platform, the luxurious floating house comes with a spacious living room, two plush bedrooms with contemporary bathrooms, a fully functional modern kitchen and a breathtaking roof terrace. 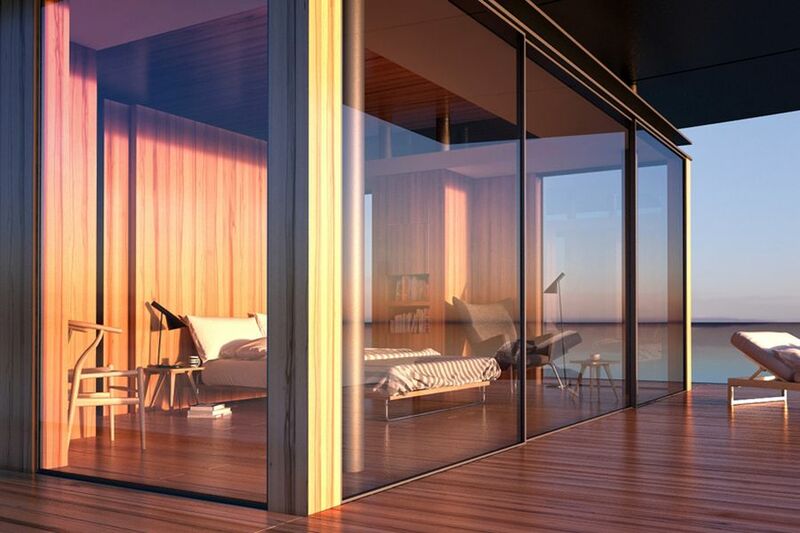 Blurring the boundaries between the gorgeous scenery outside and the plush interior, the large glass walls of the house ensure that the fortunate folks inside have unabated, 360-degree views at all times. 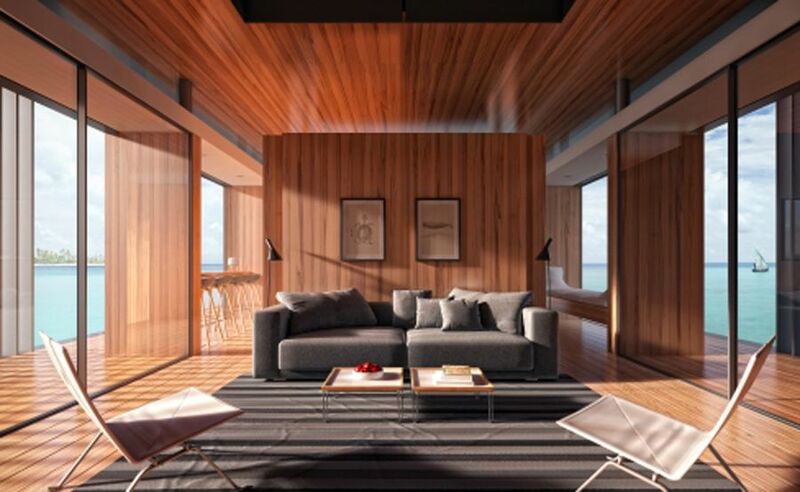 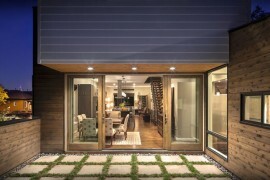 Inspired by nature and aiming to provide an open lifestyle, the smart house was designed with the highest sustainability standards possible and has minimal impact on the ecosystems that surround it. 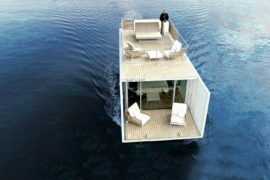 Gently floating from one place to another at its own leisurely pace, the home allows its occupants to experience the many sights and sounds of nature without being intrusive or disruptive. 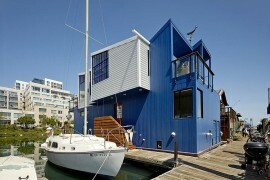 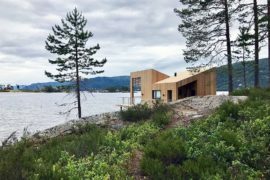 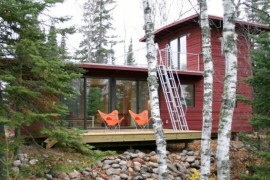 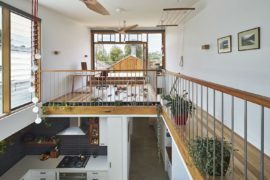 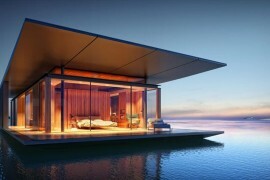 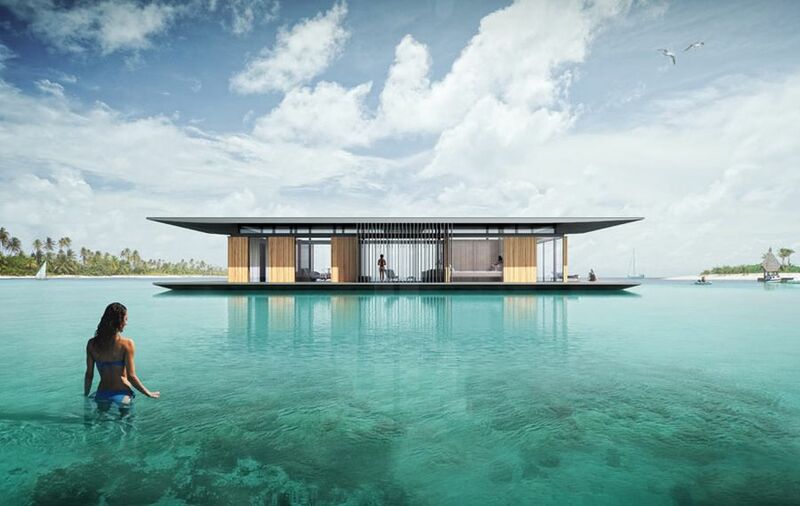 The layout of the Floating House can be altered to create custom-crafted structures that suit local weather conditions and the specific demands of inhabitants. 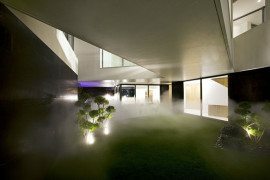 A fabulous roofed terrace outside give you ample opportunity to catch up on those few fleeting moments under the star-studded sky as you drift your way to nirvana!